Enjoy the music of "Undercover", a smokin' hot classic rock band, featuring the music of The Beatles, The Allman Brothers, The Who, The Moody Blues, The Eagles, Santana and much more. Call Ray Arrucci at 914-522-2454 for booking information. Carol’s talents span from solo performer on piano and vocals (pop, rock, musical theatre) for cocktail hour or dinner music or parties. Her vocal style spans from rock to musical theatre to opera and she can customize songs for any occasion. 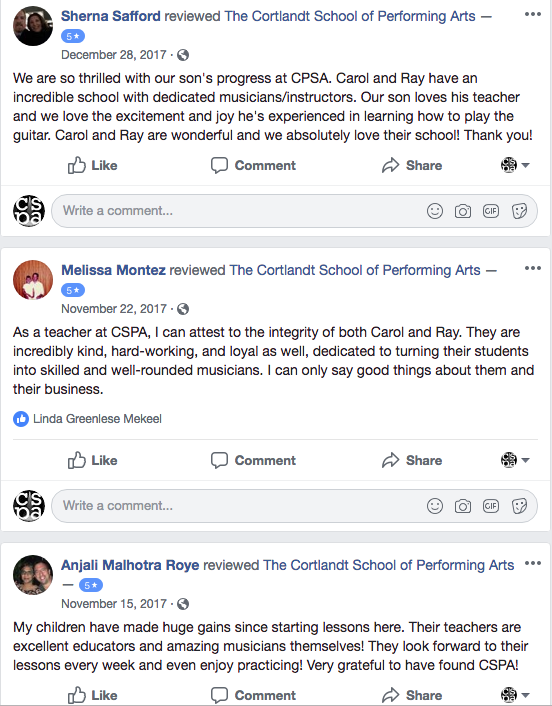 As a conductor, musical coordinator and producer, Carol can put together any type of musical performance needed, with her great list of contacts to musicians in the Tri-State area and as owner of The Cortlandt School of Performing Arts. Call 914-420-8966 for booking information.